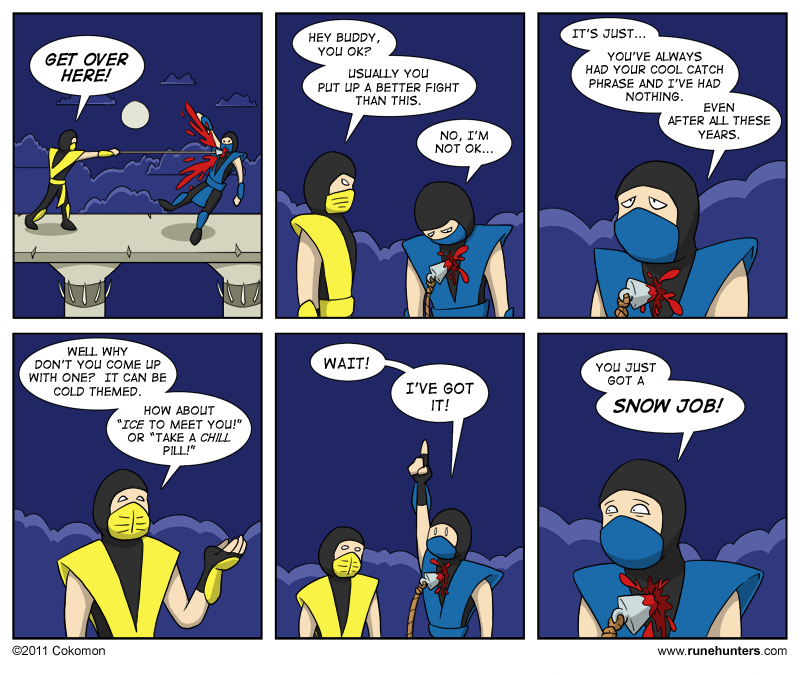 Ok, I know this isn’t my first comic to reference Mortal Kombat. Or my second. Or my third. After this, no more Mortal Kombat comics. I swear! Oh well, I hope you guys enjoy all the ice puns. I had a flurry of ideas when coming up with them, a real blizzard of inspiration.